An experienced leader in growing organizations, Yvonne Kean served 10 years as CFO of international non-profit Water.org, founded by Gary White and Matt Damon. While leading the finance and administrative areas the organization grew from $2 million to $25 million in revenue. Yvonne has 30 years of experience in finance, operations and administrative management in the financial services, insurance, non-profit and healthcare industries as well as public accounting. 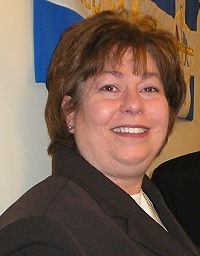 A 2010 CFO of the Year awardee by the Kansas City Business Journal, Kean has served as board member and past treasurer of The Women’s Foundation of Greater Kansas City, the Central Exchange and the Central Exchange Education Foundation, a Kansas City-based women’s leadership organization. She is past president and board member of the Institute of Management Accountants and a member of the American Institute of CPA’s, the Missouri Society of CPA’s and various industry associations. Kean holds Certified Public Accountant (CPA), Certified Management Accountant (CMA) and Chartered Global Management Accountant (CGMA) designations and has completed training in Interim Executive Management.